Many foragers appreciate stinging nettles as healthy, mild, spring greens. They can be used in soups, stews, and pasta. But not everyone realizes that blanching or boiling stinging nettles yields not only a wild food but also a wild beverage! 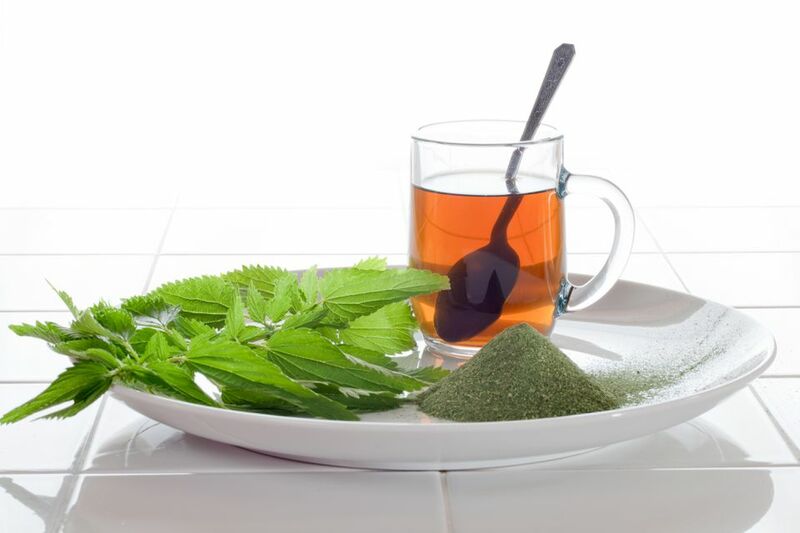 Stinging nettle cordial is a refreshing herbal drink and can be enjoyed on its own or in a tasty adult beverage. When you've finished cooking your nettles, don't throw away the cooking water. That liquid (aka pot liquor or potlikker) is highly nutritious. Many nutrients are soluble in water, so when you blanch or boil your nettles (or any other edible green), some of their nutrition is transferred from the leafy greens into the cooking liquid. That leftover liquid holds Vitamin C, Vitamin A, and minerals (including Calcium, Potassium, Zinc, and Iron), so why throw it away? You can blanch several batches of nettles in a single pot of water, straining the greens and saving the water to cook another batch. It saves water, the cooking water is already hot (so it speeds up the blanching process), and it yields an extra strong nettle tea, which makes for a lovely cordial. Strain the liquid through a jelly bag or a very fine mesh strainer to catch all the tiny bits and pieces. The resulting liquid is your nettle tea. Combine the nettle tea, wild ginger, and agave nectar in a large pot and bring them to a boil. Remove from the heat, add the lemon slices, and cover the pot. Let the potion steep for 24 hours, then strain off the solids. You can serve this over ice, or run it through your soda siphon for a carbonated version. Do not, however, run it through your SodaStream. Not only will it void your warranty, but the sweetener in the nettle tea can clog the SodaStream. Combine equal parts of nettle cordial with rye whiskey in a cocktail shaker full of ice. Shake for 30 seconds, then strain into a rocks glass over one or two large ice cubes.